That's how you leave it all out there. Making his final start of the Arizona Fall League season, Forrest Whitley dazzled. 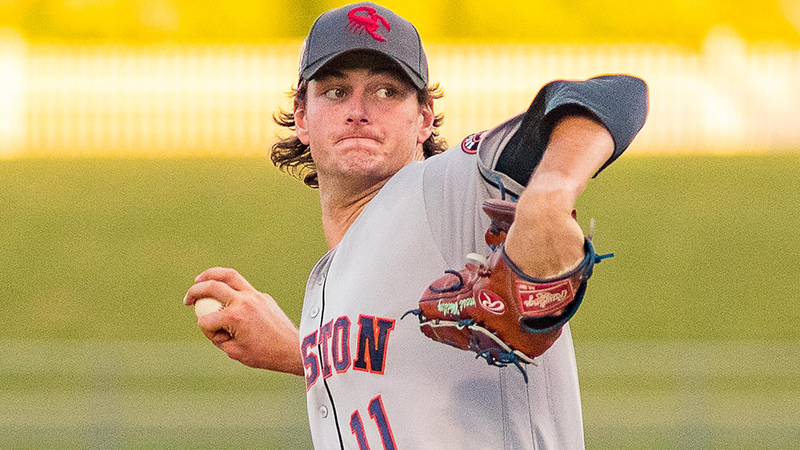 Houston's top pitching prospect struck out nine and allowed one hit over five scoreless innings for Scottsdale, which ultimately lost to Peoria, 2-1, on Thursday at Peoria Stadium. Since Thursday marked the end of the AFL regular season, the right-hander took the ball for the final time in 2018. Whitley fanned the side in the first inning, and the lone hit he yielded came against Chris Mariscal (Mariners) with two outs in the second. From there, MLB.com's No. 8 overall prospect retired the final 10 batters he faced, capping his afternoon by punching out Brewers No. 19 prospect Trent Grisham to end the fifth. Whitley threw 46 of his 68 pitches for strikes and did not issue a free pass. The nine whiffs were the most he accrued in a single game in six Fall League outings. The 2018 regular season proved to be a lost opportunity for one of the brightest prospect arms in the game, especially after the 2016 first-round Draft choice established himself as a rising star with a 2017 campaign in which he amassed a 2.83 ERA between three levels. Whitley was suspended 50 games for violating the Minor League Drug Prevention and Treatment Program in February before coming back with Double-A Corpus Christi, where he made eight starts (26 1/3 innings) and endured a pair of disabled list stints that addressed oblique and lat injuries respectively. The Fall League offered the 21-year-old a chance to create a foundation to build on in 2019. Whitley's 36 punchouts -- over 26 total innings -- led all hurlers in Arizona and he finished with a 2.42 ERA, the fourth-lowest WHIP (0.96) on the circuit. Austin Listi (Phillies) went 3-for-4 and drove in the lone run for the Scorpions. Scottsdale led, 1-0 heading to the home half of the ninth, when Weston Wilson (Brewers) tied the game with a single to left and Rays No. 7 prospect Ronaldo Hernandez lined a walk-off single to left.